It has kept sailors safe on the ocean waves for 90 years, becoming just as much a part of national consciousness as cricket, cups of tea and The Archers. 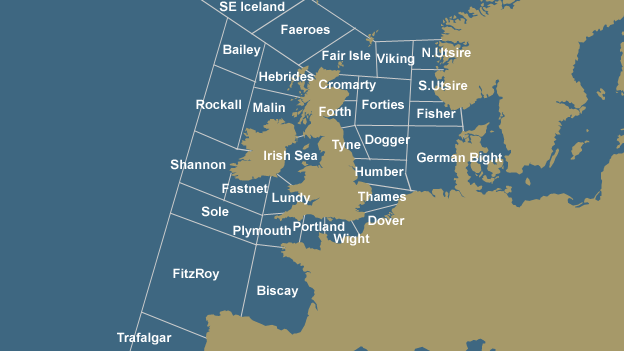 But the days of hearing the Shipping Forecast out on a boat may be numbered thanks to the demise of long wave technology, a veteran announcer has said. Peter Jefferson, who read the Shipping Forecast to Radio 4 listeners for 40 years, said the “very old” transmitters which worked on long wave could soon be retired. If that was to happen, he said, anyone more than 12 miles from the coastline would be unable to hear the shipping forecast on long wave, ending a Radio 4 tradition dating back to 1924. Speaking at the Radio Times Festival, in Hampton Court, Mr Jefferson said the soothing tones of the Shipping Forecast would then be left to its many fans who choose to listen to it from their homes in lieu of a “sleeping pill”. “Long wave reaches much further than FM, it’s as simple as that,” he said. “So FM would be totally useless for shipping beyond 12 miles from land. […]A spokesman for the BBC said they were no firm plans to end long wave broadcasting, and no date set for when the technology could run out. The service currently reaches as far as south-east Iceland, and is occasionally picked up as far as 3,000 miles away. Read this full article at The Telegraph online. Of course, I haven’t heard the Shipping Forecast on longwave since moving back to the States from the UK. Still, I would be very sad to hear the program and the longwave medium fall silent. I would like to start adding some Shipping Forecast programs on the Shortwave Radio Audio Archive where we also curate select mediumwave and longwave recordings. If you have the means to record episodes on longwave, please consider helping us! This entry was posted in Longwave, News, Radio History, Uncategorized and tagged BBC Radio 4 Shipping Forecast, Longwave, Shipping Forecast on September 29, 2015 by Thomas. “[Labour leader Jeremy] Corbyn has suggested he would decline to authorise the use of Trident in the two circumstances envisaged under the arrangements in place since the cold war. “In the first instance, based on the assumption that the UK is still a functioning state, the chief of the defence staff recommends to the prime minister that nuclear weapons should be launched from a Vanguard-class submarine, one of which is always on patrol. An attack could not be launched without the prime minister’s authorisation. Also, to be clear, the Shipping Forecast isn’t only transmitted on LW. There are four forecasts each day at 00:48, 05:20, 12:01, and 17:54 local time. Only the 12:01 version is broadcast only on LW. The 17:54 version is transmitted only on LW on weekdays but on the weekend it is transmitted on both FM and LW. The other two, including the late-night version, are broadcast on both FM and LW. But, if Radio 4 LW were to be shut down and no other changes were made, then in addition to some Shipping Forecasts the followed would go (caution; from Wikipedia): “Yesterday In Parliament at 0835–0900 on Tuesdays to Fridays, The Daily Service at 0945–1000 on Mondays to Fridays, the Shipping Forecast at 1201–1204 daily and 1754–1757 on Mondays to Fridays, and Test Match Special during international cricket games”. In addition to the live radio transmissions, the Shipping Forecasts can be heard via the Internet in the Radio 4 live streams and on demand. “However, since March 2014 the BBC is doing works in the transmitter that result in a very weak signal reception in Europe. As of March 2015, the reception of BBC4 LW 198 kHz is still very poor and difficult, even in the countries next to the UK in continental Europe.” Does anyone know if the transmitter work has been completed? I recorded the late-night version of the Shipping Forecast last night using the SDR at the University of Twente and will submit the recording to the Shortwave Radio Audio Archive shortly. Erm, where are the facts here ? to repair transmitters. This is another prime example of a vapourware rumour. Where are the facts ? With that said, we know the trend is for the closure of longwave and with the budget cuts the BBC are facing, it’s a real possibility. RTE and Radio France have already started the process. I think, however, that the British public may very well put up a fight to keep the Shipping Forecast on the air and longwave as well. This article is a case in point–a warning of what seems to be coming down the pipeline. The Shipping Forecast is such an institution and universally loved, it may survive in the long run. At least I hope so. Time will tell. that BBC R4 LW still exists, an free advert for it. which R4 LW provides, as well as a frequency standard. Scotland are not covered by FM too well, neither is Wales. alternative programming via it, to boost it’s potential. makes sense to listen on FM. And not only the shipping forecast will go but also “Sailing By” too – a lovely tune to listen to on a stormy night! This is yet another example of BBC madness cutting off the last of our possibilities of we long-range British Radio 4 listeners in Europe. I for one really enjoy listening to Radio 4 throughout the day with its crackles and whistles filling my living room- and have done so all my life since listening on my childhood-days own-built crystal set radio. Not only does it give real, live broadcast effects, but it also lets me know of impending thunder storms as the static crackles become louder. You can’t get this “live-feeling” on the Internet. The BBC 4 transmission on 198 khz reaches not only Iceland, but even Moscow region as well. I love to listen to it’s faint but clear signal at late night, and yes, sometimes I use the Shipping Forecast as a sleeping pill)) What demise are they talking about? This is more than a tradition, this is one of British symbols. This will be real shame if they finish it off some day. Lucky you, Dennis! I wish I could hear the Shipping Forecast on LW in the States. I will give it a good go this winter–perhaps conditions will surprise me and they’ll rise above the noise floor for a few minutes. I’m very curious if any listeners in Newfoundland or the Maritimes can hear the ‘Forecast on longwave. There’s nothing impossible for the LW and AM spread in autumn and winter time. I recently heard Turkmenistan on LW, China and Korea on Broadcast at a local station level, both are thousands miles away from my QTH. You should keep listening, Thomas, I’m pretty sure it may be heard in the States, East Coast at least. I’ve been a fairly regular listener for many years – to Radio Four long wave in general and to the shipping forecasts in particular -, and I think it would be a mistake to leave 198 kHz. Long wave is an easy way for central Europeans to listen to voices from Britain, and just the more important since the BBC WS left 648 kHz years ago. If Britain wants to keep Radio Four on long wave, equipment would be available, and at fairly low prices at that. It’s a matter of what they really want, and not a matter of exotic valves.